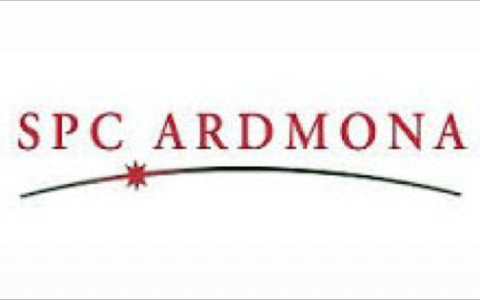 SPC Ardmona is Australia’s largest remaining fruit and vegetable processing company, and owner of iconic brands such as SPC, Ardmona, Goulburn Valley, Taylor’s Sauces and IXL Jams. Acquired by Coca Cola Amatil in 2005, the parent company was eager to leverage its investment and create a foundation for sustainable performance. External forces impacting the business included a high Australian dollar hurting the export market, the dumping of subsidised foreign products via the competitive supermarket giants in Australia, and weather fluctuations; both flood and drought, impacting consistency and quality of production. Internally, the aspirations were unclear, alignment among leaders was poor, and the long-term workforce were used to attractive union-protected conditions, and suspicious of the parent company’s motives. Departments had competing objectives, and there was a wide gap in trust between city-based office staff and the regional workforce. The new CEO’s vision was to transform an old world manufacturer into a modern operation with highly desirable, high quality brands that were able to compete with cheaper imports. His goal was to turn the organisation’s burning platform into a burning ambition so they would not just survive, but thrive in a competitive global marketplace. We began our engagement together by conducting a comprehensive alignment review to establish the actual state against the new CEO’s ambitions for the business. We then worked with the executive team to sharpen the purpose, vision and strategic imperatives for the business, all of which was summarised on an easy-to-understand ‘plan on a page’. The plan on a page was then translated into a scorecard that united departmental business plans. With clarity of strategic direction, together we built a compelling story of the future that demonstrated respect for the strong heritage of the company and its brands, whilst also articulating a compelling case for change. Every staff member was engaged in the story so that everyone could understand their unique contribution to success. We worked closely with the top three layers of leadership to baseline their individual and collective impact, and then coach them to higher levels of effectiveness. We established a senior leadership forum that came together quarterly to solve complex business challenges, and we translated the SPC Ardmona Values into very specific standards of behaviour relevant to all staff. SPC Ardmona successfully renewed their portfolio of products to build greater relevance for consumers, substantially broadening their customer base in the process. They increased their category growth, as well as their brand health metrics. They successfully consolidated production and established more flexible work agreements and practices. Importantly, SPC Ardmona was able to re-established market positioning as ‘Made in Australia’ and activated ‘people power’ by motivating a consumer wave of support for local producers to keep production and jobs in Australia. This, in turn, attracted State government investment to turbo-charge the modernisation program. All of these results were enabled by a substantially and measurably more effective senior leadership group, passionately pursuing their burning ambition for the business.